Do you have any Easter traditions? I can’t say we do. Last year we went to Seaton Delaval Hall for an Easter egg hunt, which was great fun. However we’ve not done a hunt this year, though I’m confident James would love it. Maybe we will tomorrow. 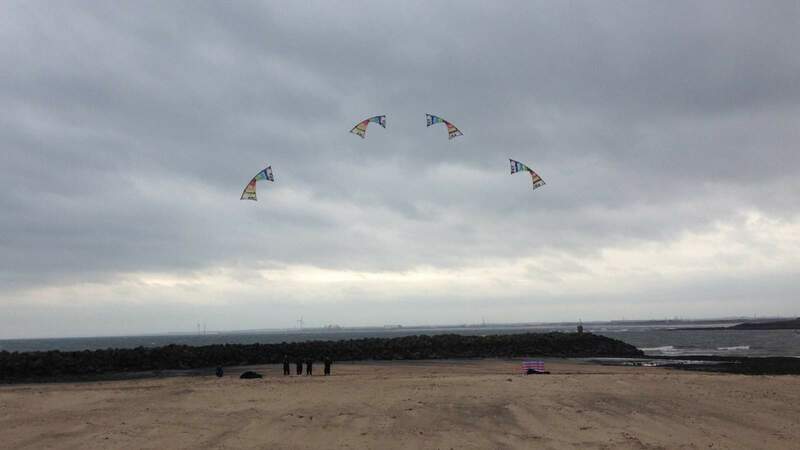 Yesterday we spent some time at the Newbiggin-by-the-Sea 5th Annual Kite Festival. The stunt show by Fusion was brilliant – who knew you could fly four kites in such symmetry and set to music?! We also loved the little ladybirds bobbling on the sand, and the massive fish in the sky. There was a shark kite too, but every time I tried to take a photo, the shark flew down and took a great munch of beach! Inside the Maritime Centre there was a table for kids to colour, with tonnes of different colouring sheets – of course, all with a kite theme. 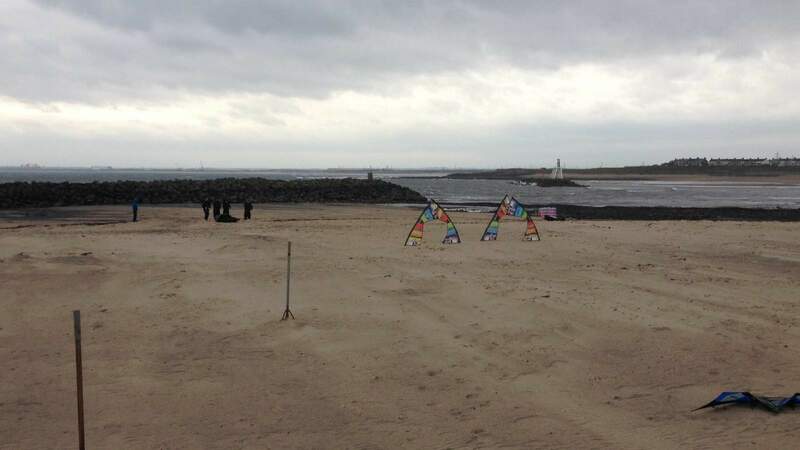 The huge windows provided a space to watch the kites while being less blown about in the cold. 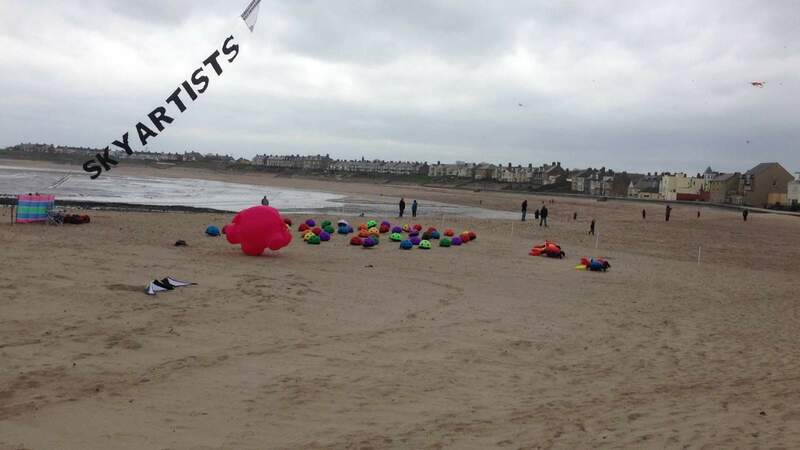 Also, there were people on hand to help kids to make their own kites (£2.50), which was a very popular activity. 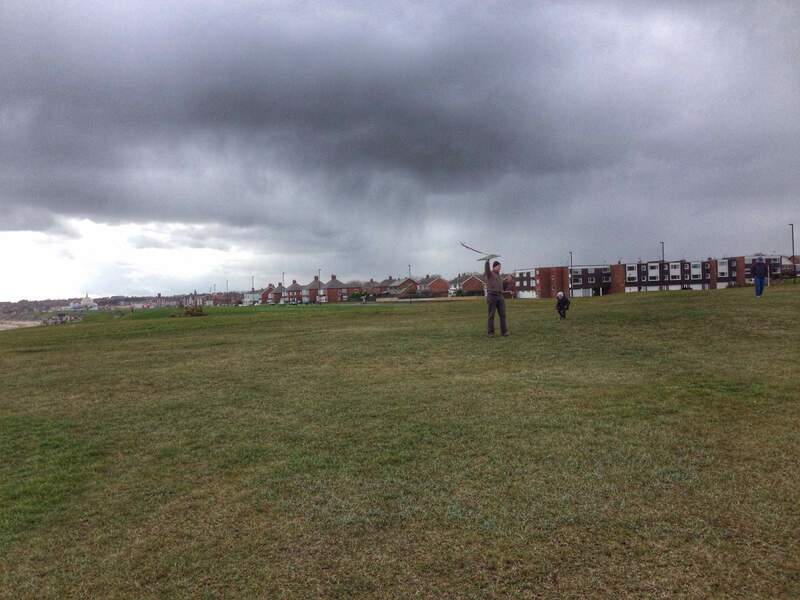 This morning we’ve been able to fly our kite on the Links at Whitley Bay, although, to be honest, we are not expert kite flyers and mostly had the kite spinning in a crazy spiral! James thought it was ace: “Mummy! Look at the kite! It’s going round and round! You love it!” he shrieked above the noise of the wind. Later we’ve been along to the fun fair at Spanish City, Whitley Bay. The weather is horrible out there. I’m writing this feeling glad of my joggers and a warm mug of tea, and feeling a bit like I’ve got wind burn on my face. It was hailing, raining, and altogether freezing cold. James told me confidently that this is weather for winter fairies, and I believe him! Poor Noah ended up in the sling because the ground was muddy and we had to run a few times to find shelter during the worst downpours. 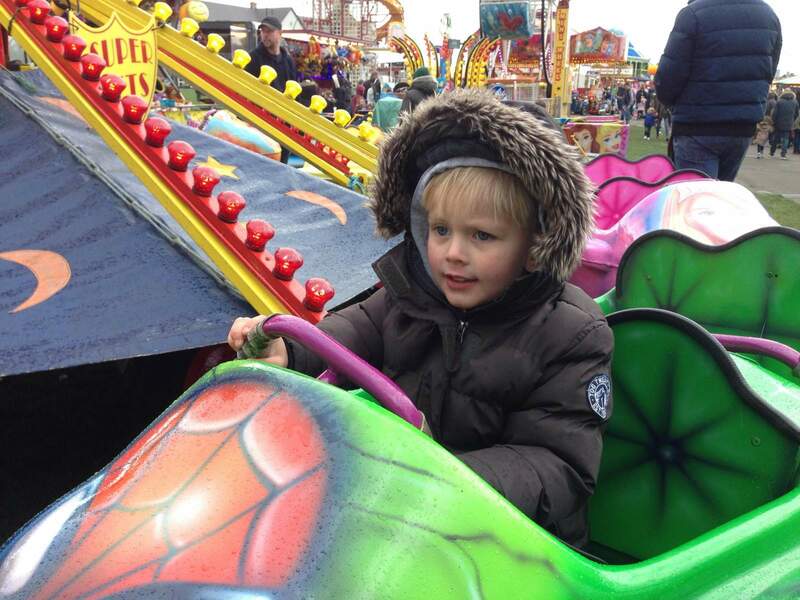 However, James has been on a few attractions and enjoyed every one until he got a wet bum on the caterpillar ride. So of course that makes it all worth it (not the wet bum, the happy, smiley child of course!)! What have you been up to? Have you been able to spend time as a family? Haha, yes we would’ve had cross faces if it wasn’t for James’ total enthusiasm for the kite doing spins. Of course as adults we know it’s not meant to do that, but he LOVED it! Thanks for hosting country kids! I hope those little bunnies are ok and have opened both eyes? 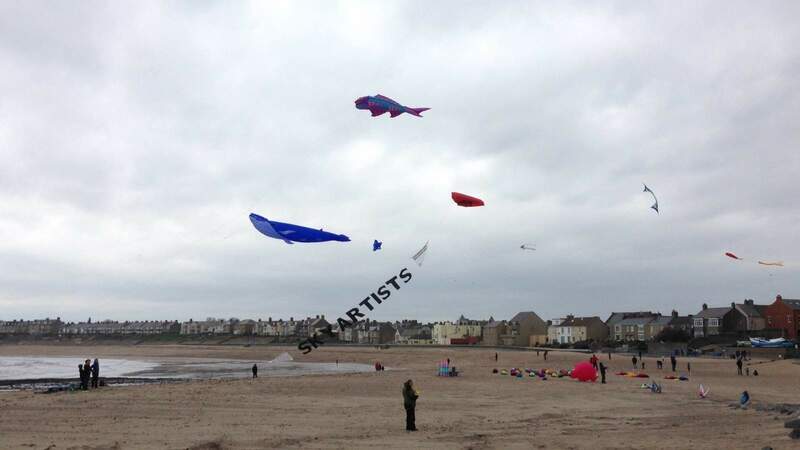 Wow the kite festival looks fab – I’m going to look out for it next year. 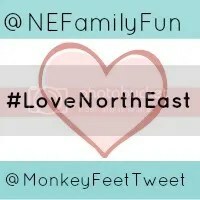 Isn’t it bad that I’ve never been to Newbiggin!!! 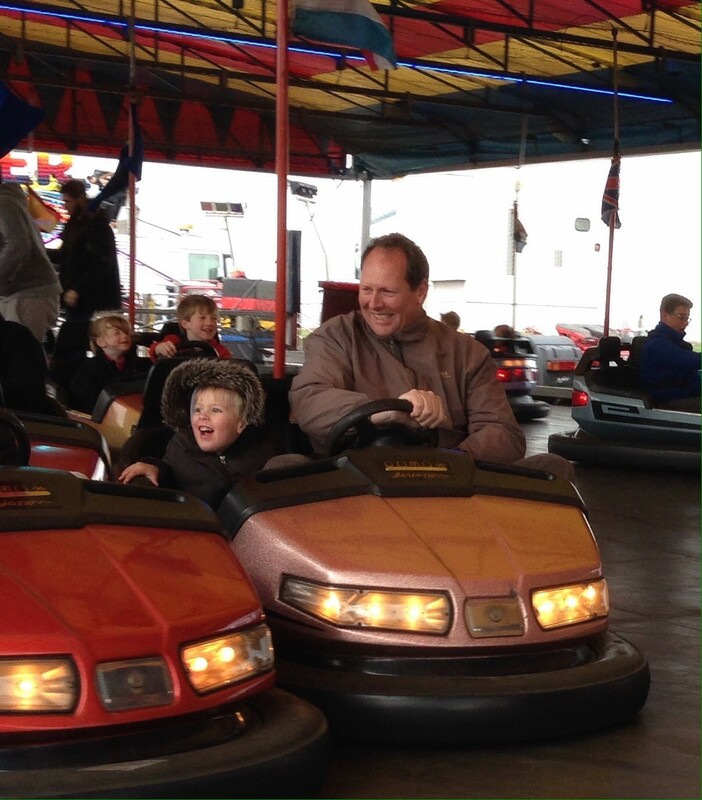 Well done for braving the gruesome weather at the Spanish City Funfair – the things we do for our kids eh? What lovely pictures. It looks like you had a great time.